With Michigan making Marijuana legal, this article from the NYTIMES discussing the implications of dog detection cases are now meeting new obstacles because marijuana has become legal. 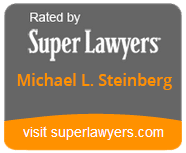 Mike Steinberg has been actively litigating dog sniff cases for over 25 years. He was successfully gotten police dog experts to admit that the dog cannot distinguish between certain kinds of drugs and just indicates for drugs in general. If you or someone you know has been arrested for drugs that were due to a dog sniffing. You need to seek and Michigan criminal defense attorney to help you navigate Michigan court system. Drug-sniffing dogs that are trained to detect marijuana are complicating searches where pot has been legalized. That’s forcing some into early retirement. Dogs like Tulo “have the same behavior for any drug that they’ve been trained on,” said Tommy Klein, the police chief of Rifle, Colo.